Embedded devices are now interconnected and allow Cloud connectivity. The trend of IoT affects both B2C and B2B markets such as Automotive, Medical, Consumer, Automation markets, etc. As a world-class software and system expert, Witekio accompanies your projects from the hardware to the cloud. We bring our added-value into architecture, design, expertise and development of all software layers for any embedded or smart devices. Our scalable team counts 100 developers, architects, consultants and experts always ready to work closely as your partners. 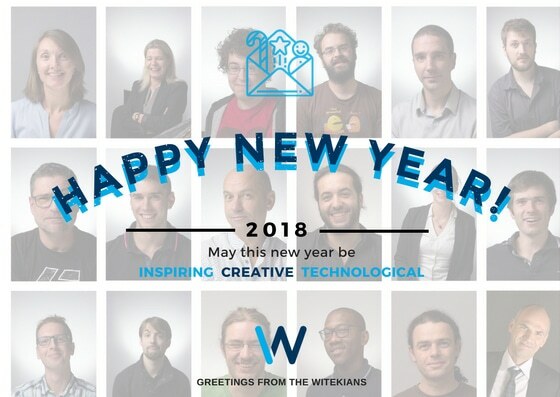 Witekans wish you once again a wonderful 2018.